It’s hard to get excited about big box Strip Japanese restaurants anymore. It’s hard because they’re all clones of each other. 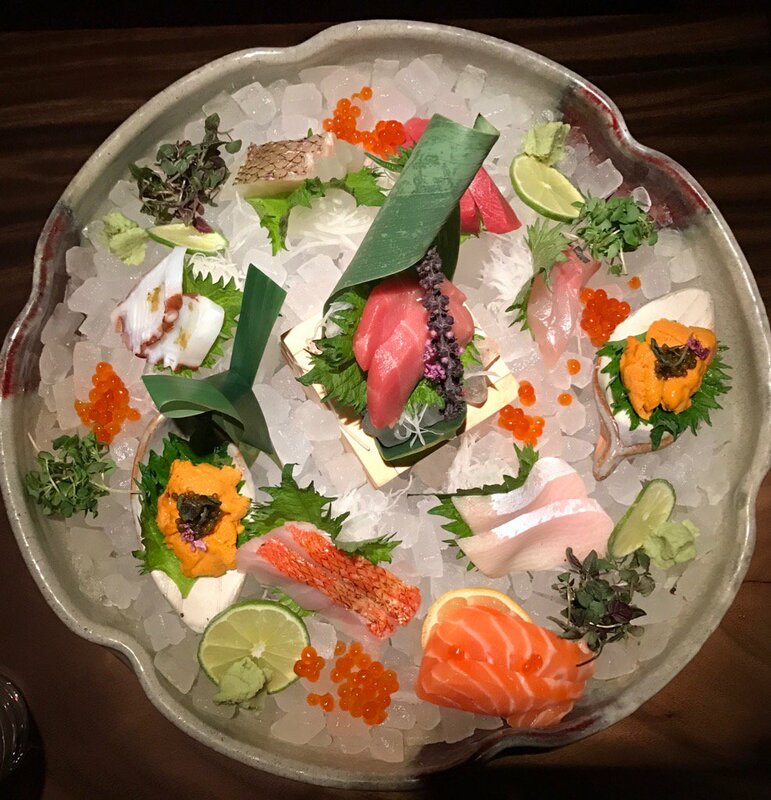 What Nobu started back in the late 90s has spawned copycat after copycat, until these days it’s tough to tell your Hakkasan from your Yellowtail. Morimoto, Nobu, and Mizumi are essentially the same restaurant. Remember Social House? That’s okay, no one else does, either. Kan’t rekall Koi? You’re not alone. Everyone of them follows the same blueprint. You’ve got your bar, your sushi bar, and your fancy steaks and your edamame. Then there’s the Japanese veggies, extravagant sushi and your robatayaki this and your yakitori that. The only thing that’s different is whatever flourishes the chef want to add to their garnishes and presentation platters. We ascribe this phenomenon to the improbable/ecologically indefensible rise of sushi as the protein of choice for a world looking to “eat healthier.” Ever since sushi became a “thing” around fifteen years ago, our insatiable hunger for what is, in essence, a pretty bland fish (tuna), has become the go-to ingredient for those looking to satisfy the hunger of the elite and the hoi polloi. 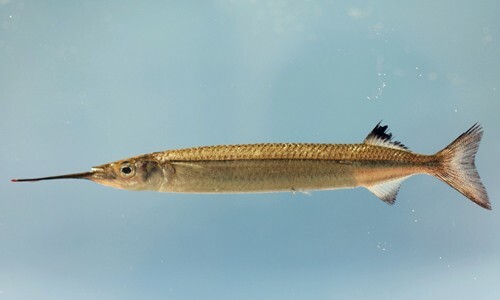 Other fish (some of them actually tastier) are thrown into the mix, and by the time you’ve downed them, a few skewers and a “creative cocktail” or two, you’ll leave fat and happy and about $200 lighter. Which is just what the hotels want. But here’s a dirty little secret: there isn’t a whole lot of creative cooking going on in any of them. This is formulaic food pure and simple. Putting ponzu and jalapenos on some sashimi is nothing new. In fact, it’s soooo 1996. Virtually everything else being dished up in these “modern Japanese” places is some repackaged idea the chefs learned from a Nobu Matsuhisa or Roy Yamaguchi cookbook, or from someone’s recent trip to Japan, where the chefs have been serving their minimalist food with a flourish for centuries. In this way have big box Japanese restaurants become the steakhouses of the 21st Century. Everyone’s doing the same thing. Everyone gets their fish from the same place; everyone’s using the same Sriracha. Only the window dressing is different. Which brings us to Zuma. The brainchild(?) of one Rainer Becker…someone who sounds as Japanese as Fabio Trabbochi. 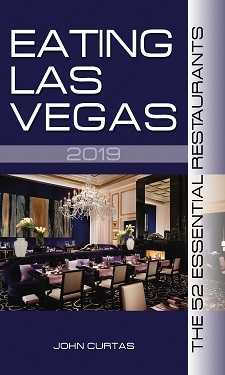 But we ate in his restaurant — the eleventh location, just opened in The Cosmopolitan* — and had a very good meal there. Which is another thing about “modern Japanese” restaurants: like steakhouses, it’s pretty hard to have a bad experience in any of them. The formula is now so pat, and the techniques so well-taught, that whatever comes to your table is usually pretty tasty. There’s a sleek, modern bar (natch), and nice high top, thick wooden tables (natch), and sushi bars (natch) and three kitchens (natch) and a lot of seats filled with lots of good-looking young people who look like they’re enjoying their skewers and their sashimi and their creative cocktails (triple natch). …it being dressed to a wasabi “T” with a subtle-yet-plenty-piquant dressing. The fish was also top notch (see top of the page) with only a slice or two being a bit past its prime. 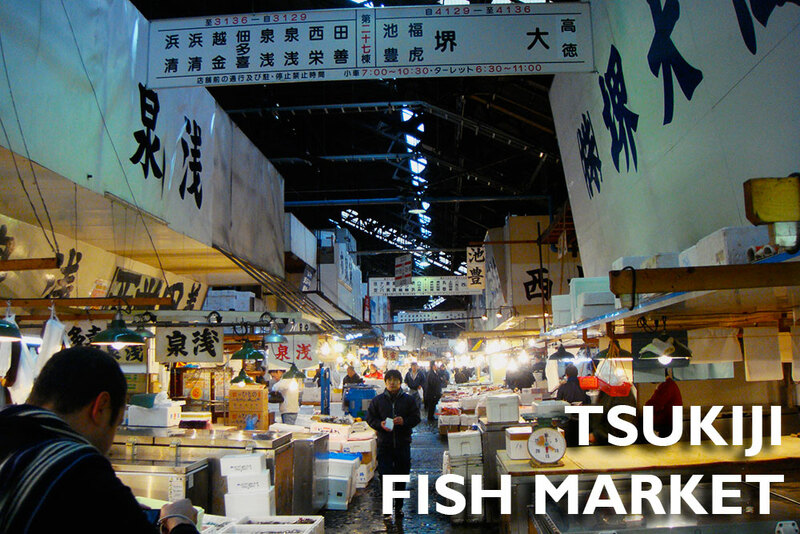 The uni was out-of-this world wonderful, and the best we’ve had this side of Tsukiji. The wine list is absurdly priced (natch) with the usual Strip gouges on things like $85 for a sauvignon blanc and $64 for a shot of gin. But hey! if some fool is going to pay that, who are we to argue? What you can’t argue with is the formula. It’s getting as familiar as an old shoe, but at least Zuma is off a fresh and fast start. It doesn’t feel like a high-roller/club kids haven (Hello Hakkasan! ), or a tired re-tread (Nobu), or celeb chef money machine (Morimoto), or a copy of a copy like Kumi. What it feels like is a chef and his company trying to tweak a template with enough fun stuff to keep the crowds and the fussy critics happy. Which will always bring a smile to our face. ELV’s dinner for two was comped and he left an $80 tip. * Which (we guess) makes Zuma the Ruth’s Chris to Nobu’s Palm, with Morimoto making himself the Morton’s of the bunch. Or something. It took me two years to make it to Yuzu Japanese Kitchen. Sounds incredible even to me, since I pride myself in seeking out the best Japanese food in town, as soon as it arrives in town. 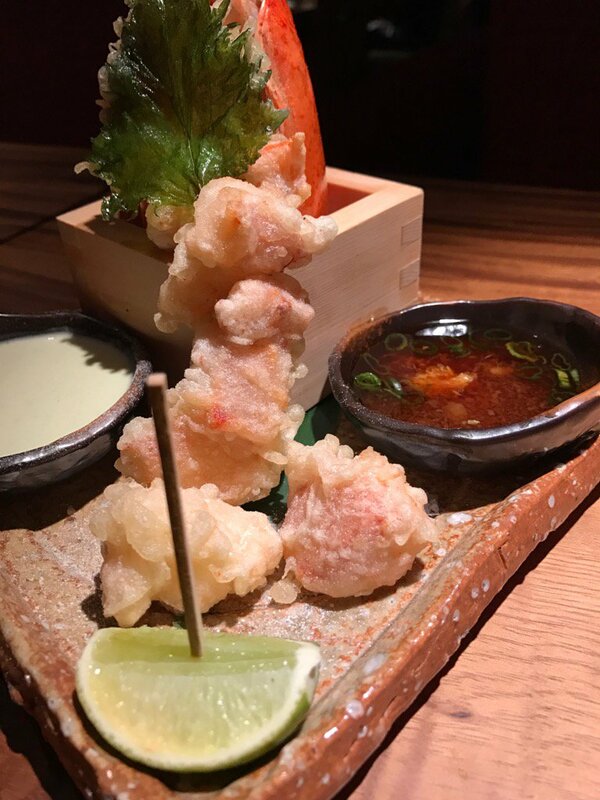 And that excuse is: Yuzu is located on Silverado Ranch Boulevard. Yeah, that Silverado Ranch Blvd. — the one located way southeast of the Strip; the one littered with poker bars and fast food franchises. The street that considers the South Coast Hotel and Casino a fun time anchor tenant. A restaurant wasteland so vast it makes Henderson seem like Napa Valley. 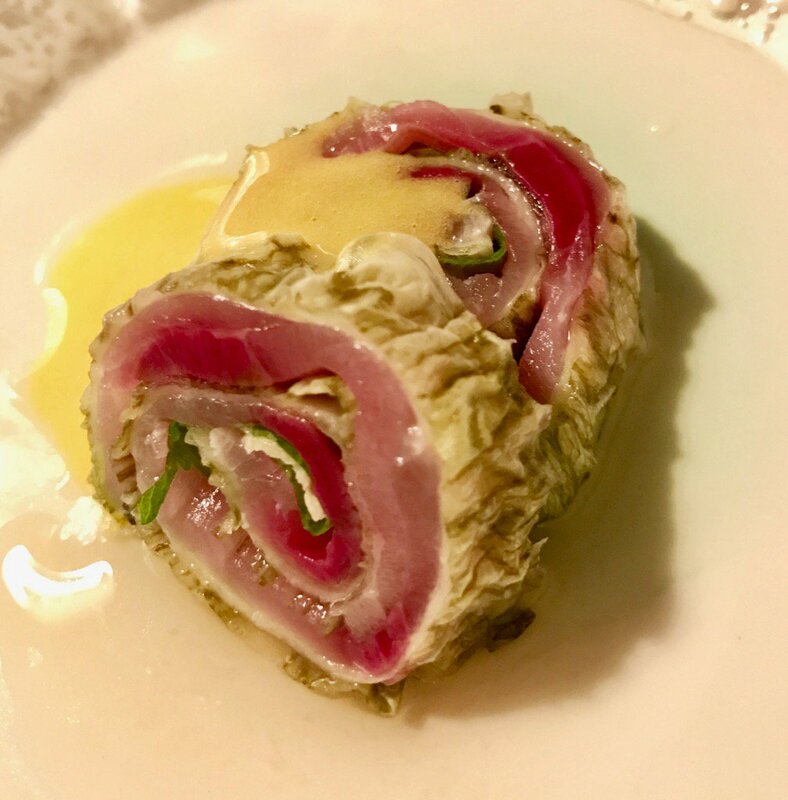 You normally couldn’t get me on Silverado Ranch with a shotgun in my mouth and promise of free foie gras, but my buddy Martin Koleff told me I had to try Chef Kaoru Azeuchi’s cuisine, so off we were — twice in two weeks — to see for ourselves. Martin and Rie Koleff, you may recall, are something of a Japanese restaurant power couple in Las Vegas. They both are long time veterans of our hotel F&B scene, and Martin was instrumental in first putting Raku on the national map. These days they are both involved in bringing the Joy of Sake event to Las Vegas, and if there’s such a thing as a Japanese restaurant mafia in town, the Koleffs are the capo di tutti capi to numerous chefs and restaurateurs, many of whom are not as fluent in English as they are. When Martin or Rie tells us we have to try someone’s food, we listen. Usually. Unless it’s on friggin’ Silverado Ranch Boulevard, where, truth be told, we thought Azeuchi-san’s chances of survival were slim. But survive he has, prospered even, in his almost-hidden haunt behind a car parts store. Yuzu may be small, but what it’s doing is a very big deal, indeed. It’s not strictly a sushi bar (although there is a small one), and it’s not an izakaya in the Raku or Izakaya Go mold. What it is is our most Japanese of restaurants. A place that could be right at home in a Shinjuku alleyway; a place serving food so true to the rhythms and tastes of Japan that it’s almost shocking when a gaijin walks through the door. There are many reasons to go here, the passion of the chef and quality of the ingredients being first and foremost among them. 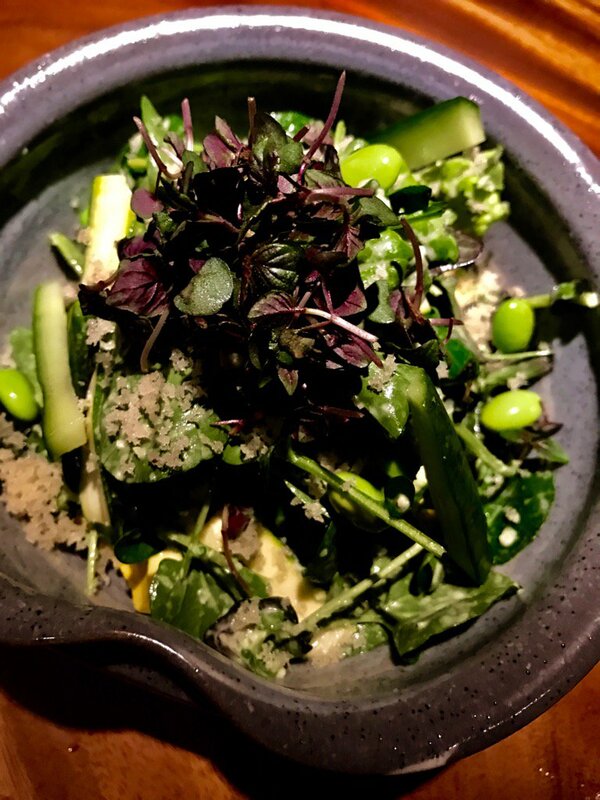 The Food Gal® tells us the noodle and teriyaki bowls at lunch are first class, but if you really want to see Kaoru-san strut his stuff, you need to reserve in advance for one of his kaiseki meals. For the uninitiated, kaiseki refers to a very specific form of Japanese dining. 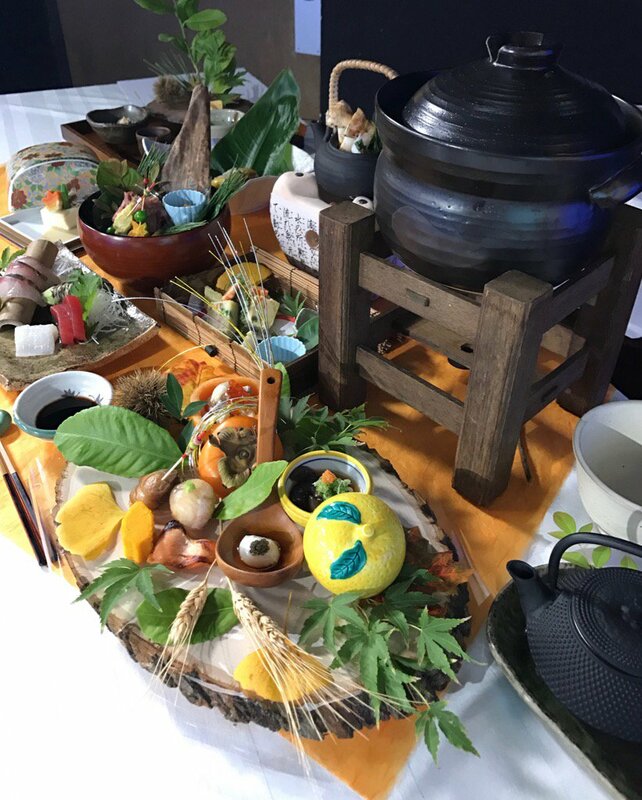 It is the haute cuisine of Japanese cooking — seasonal eating taken to the nth degree — a multi-course meal that combines the artistry of the chef with a myriad of ingredients, presentations and techniques. Everything (and we mean everything) from the garnishes to the plating is thought through and presented in a way to enhance every sense — visual, aromatic, taste, tactile — that goes into your enjoyment of the meal. 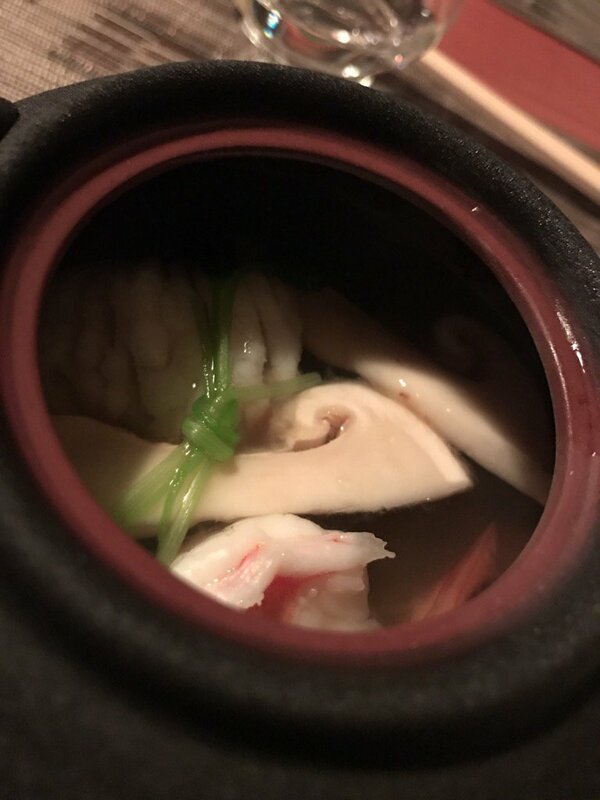 Many of the elaborate garnishes are symbolic, and all of the recipes try to achieve a zen-like state of communion between the diner and the food. 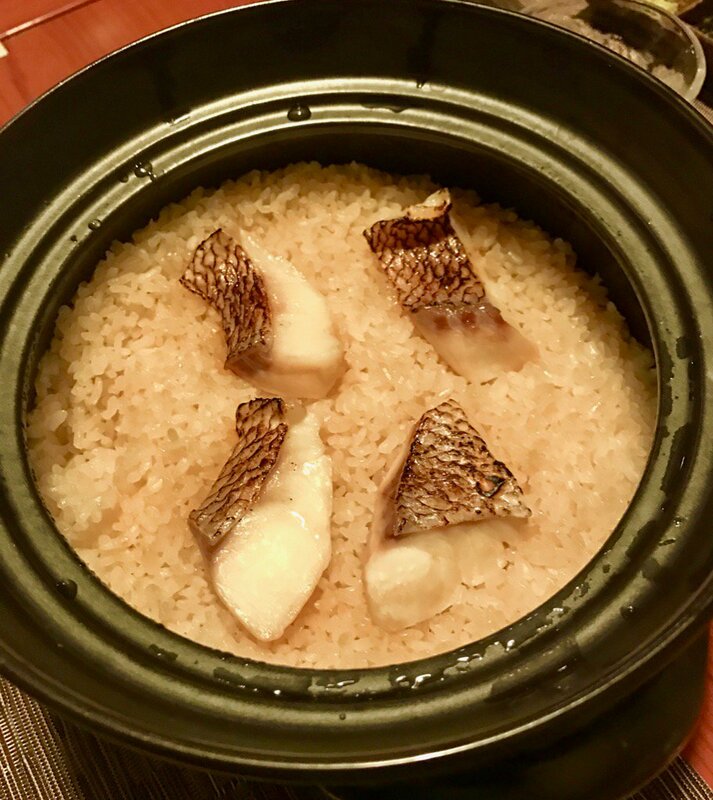 In other words, it doesn’t get much more complicated or serene than a kaiseki meal, but in the right hands, it is a transporting experience — creating an almost blissful connection between chef, raw material and consumer. There is nothing like it in Western dining, although the elaborate tasting menus of Keller, Achatz, Humm and others pay homage to kaiseki, none of them achieve the transcendence of the Japanese chefs, who have been at it centuries longer. (Americans are too busy doing cartwheels in the kitchen and padding your bill.) Azeuchi trained for 16 years as a kaiseki chef in Japan, even getting the honor of serving the Emperor, so, needless to say, you’re in good hands. 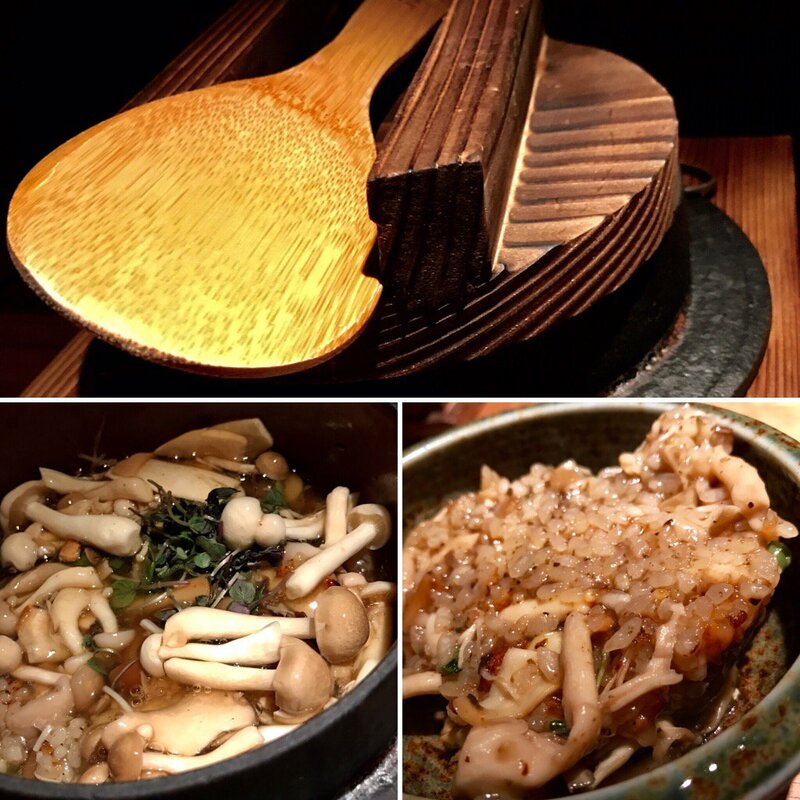 What you will get will always depend upon the season and the chef’s inspiration, but whatever path is chosen by the chef, it will no doubt be the most delicious Japanese food you’ve ever had. It was a soup so startling in its deceptive, smoky simplicity that everyone at our table was shaking their heads in appreciation. ….but like much Japanese food, once you stop looking for in-your-face flavor, and start appreciating the nuances, you quickly find that you can’t stop eating it. I don’t think a simple bowl of rice and fish can taste any finer, or be found anywhere in Las Vegas. Those nuances are the key to Japanese eating. I call it deceptive simplicity because you are always getting much more than meets the eye. Especially in a kaiseki meal. Here, you are treated to an education in the centuries-old traditions in the Land of the Rising Sun: the reverence for seafood, the harmony of vegetables and the keen awareness of the seasons. In a nutshell, everything that Las Vegas is not. This is eating as a form of secular religion, and if you’re open to the experience, you will be transported in a way that no other Western meal can match. The kaiseki at Yuzu is not a formal affair. (You are on the outskirts of Hendertucky after all.) Because Kaoru-san flies in many ingredients from Japan, it is necessary to book at least three days in advance. The price you want to spend determines how elaborate it’s going to get. The ten-course, sixteen dish affair we had runs about $175/pp, but for $50/pp you can get a fine introduction into one of the greatest dinners in all of Las Vegas. ELV’s meal was comped. 1310 East Silverado Ranch Blvd.